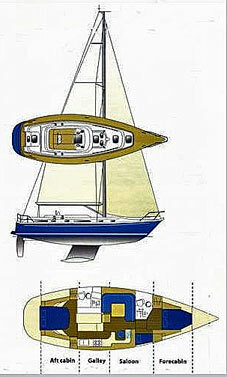 Design category ‘A’ for boats on extended passage where conditions exceed Beaufort 8 and wave heights in excess of 4m. 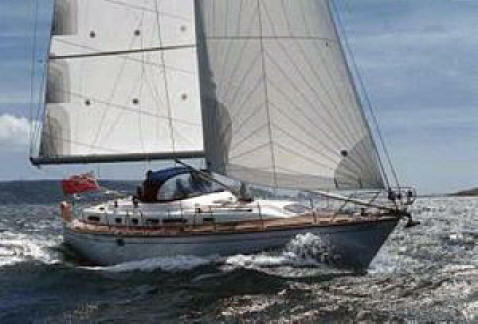 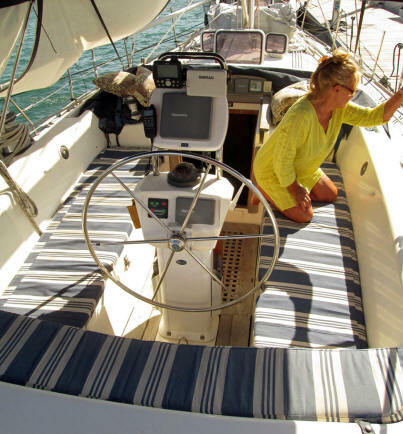 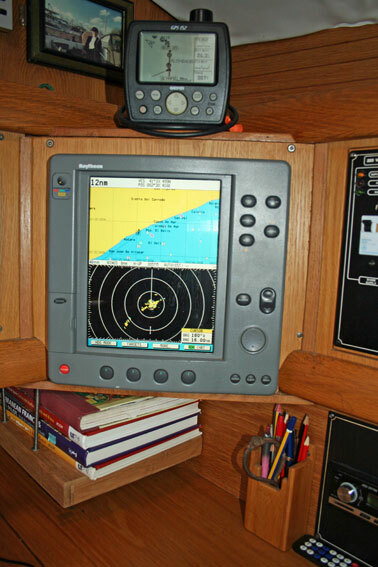 Cruising speed of 7-8 knots. 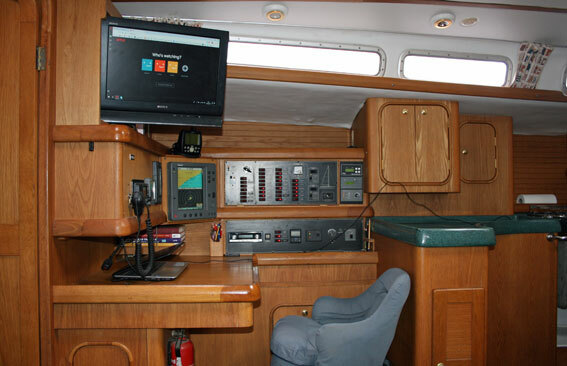 Full engine panel of temperature, oil pressure, amperage gauges, engine hours and alarms. 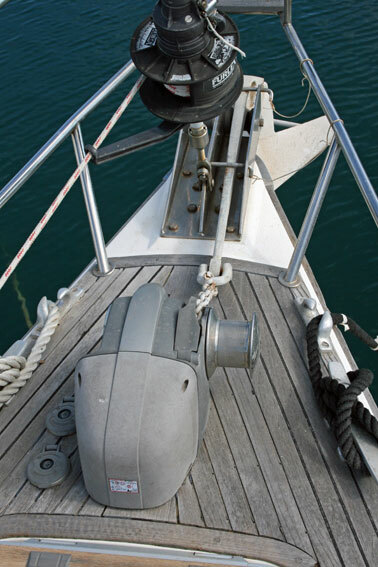 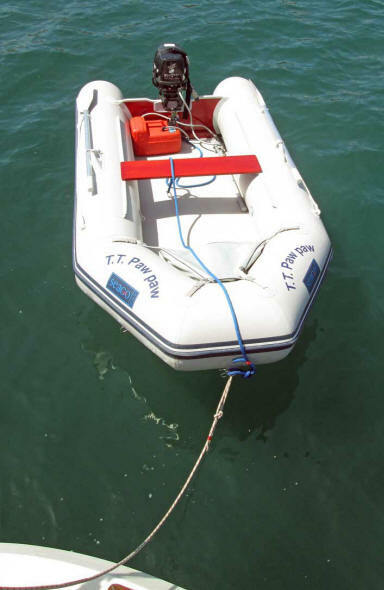 Bowthruster Sliepner 7hp with independent battery. 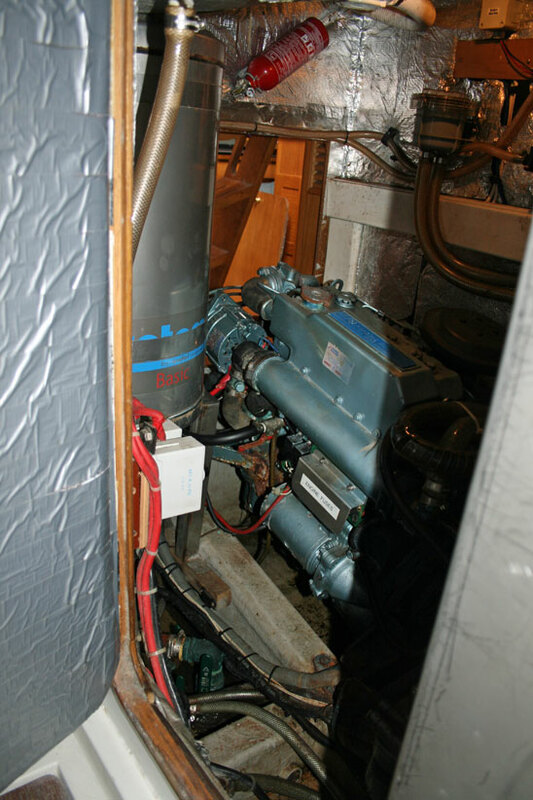 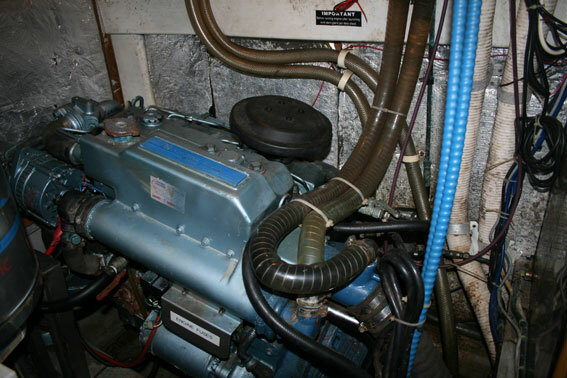 Generator 3.5kv Mastervolt Whisper, with independent starter battery. 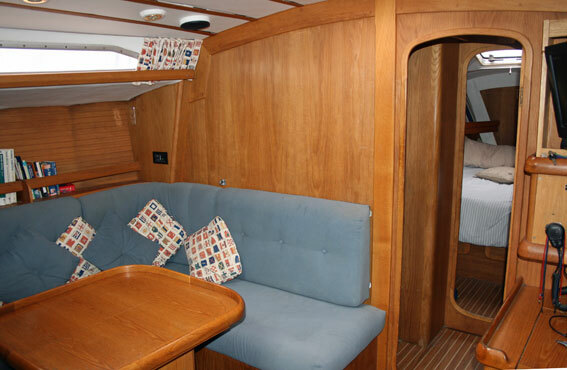 The interior is finished in light American oak wood. 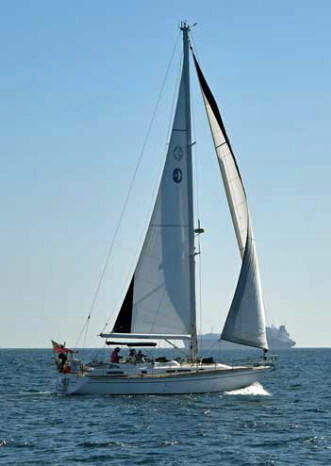 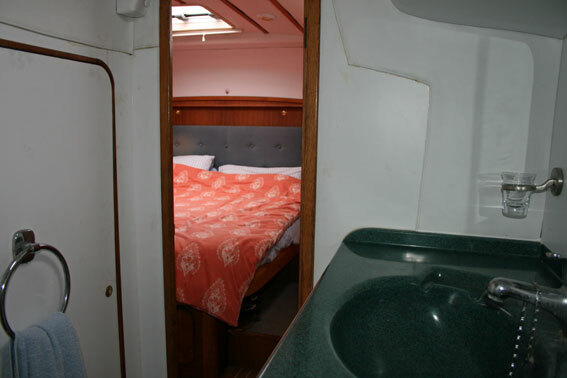 Six berths in 3 cabins including saloon sea berth. 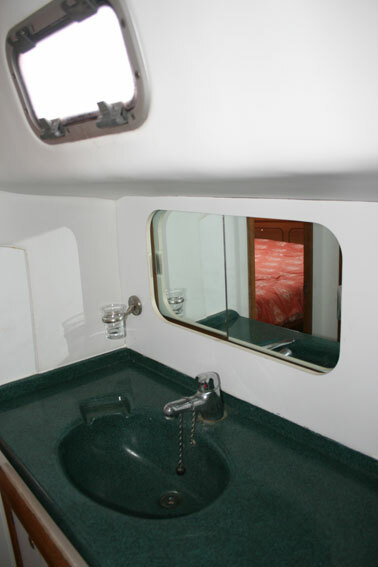 En suite Heads and Shower with wash hand basin and, mirrored cupboard & Corian work surface. 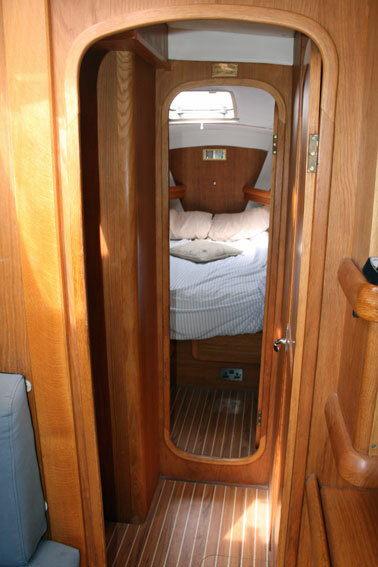 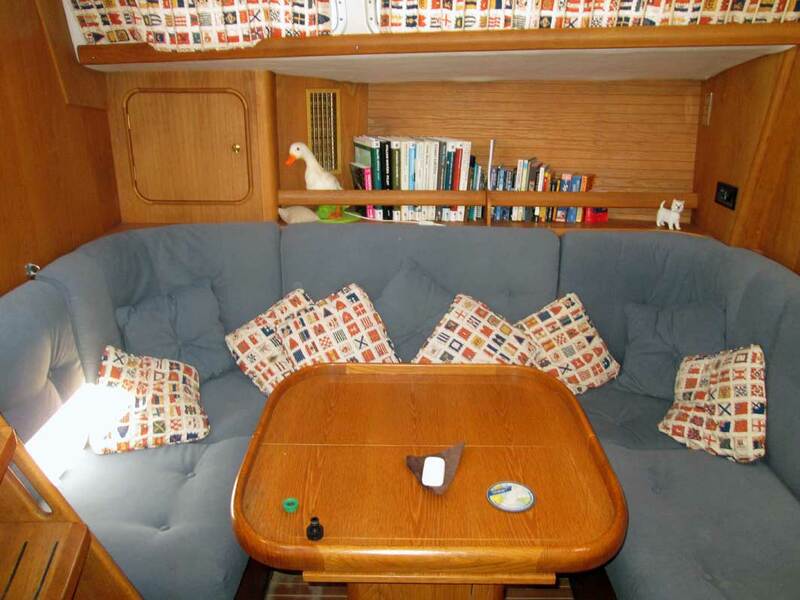 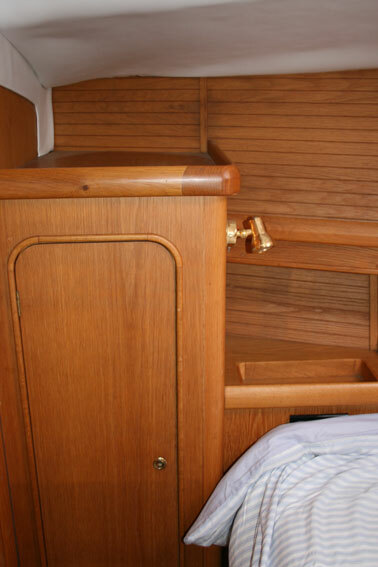 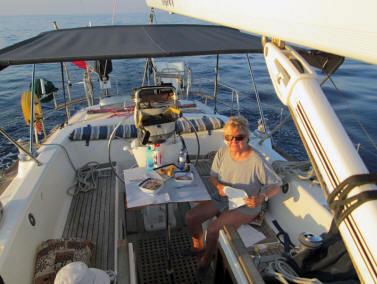 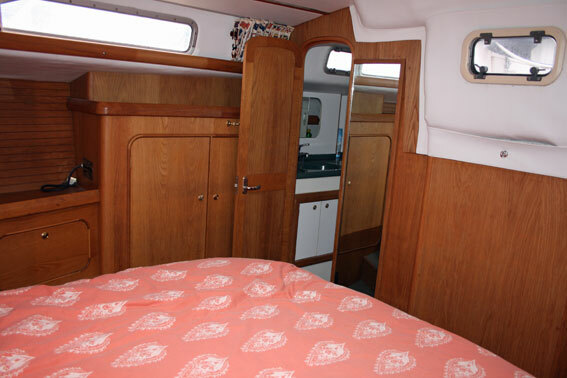 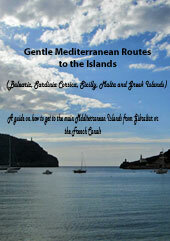 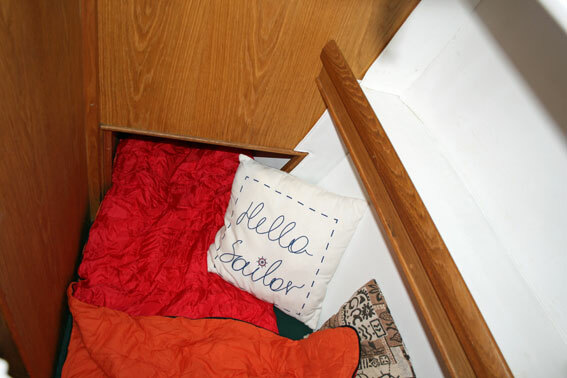 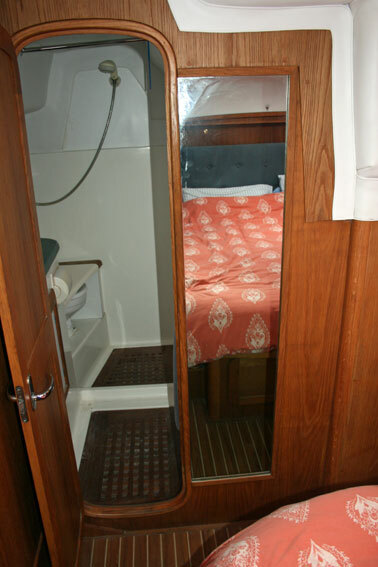 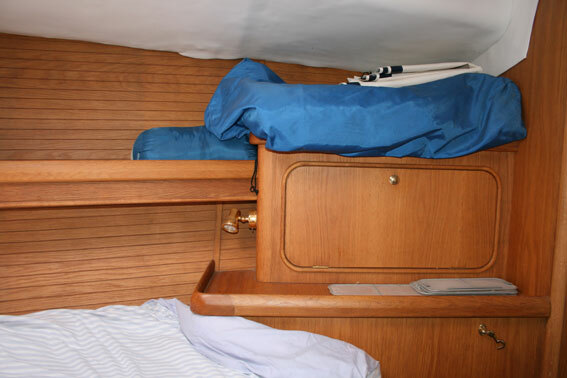 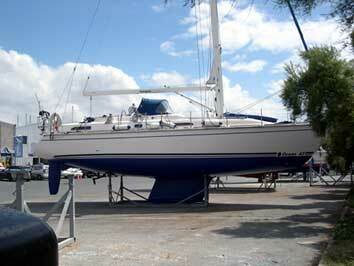 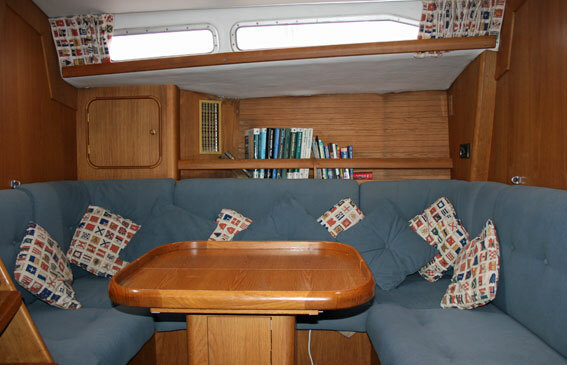 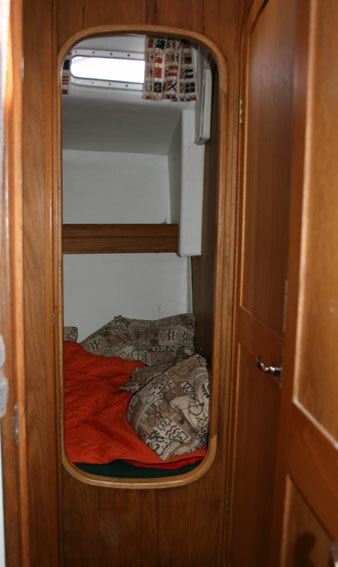 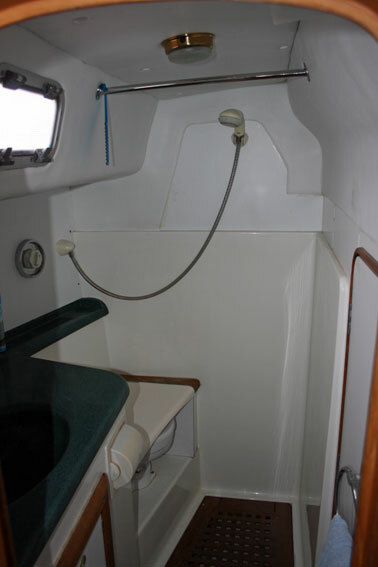 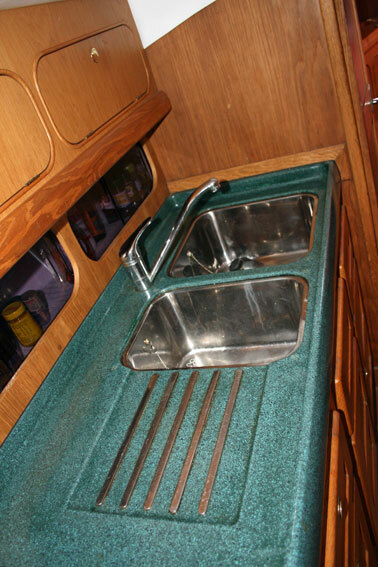 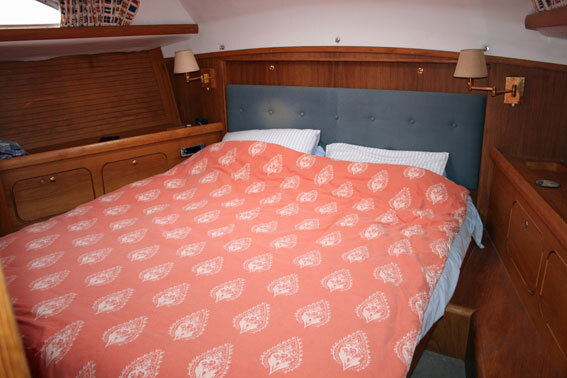 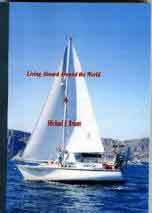 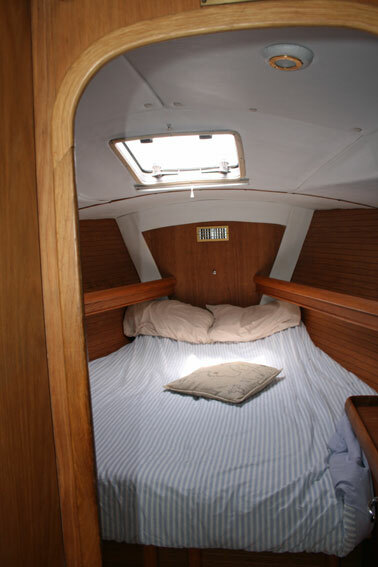 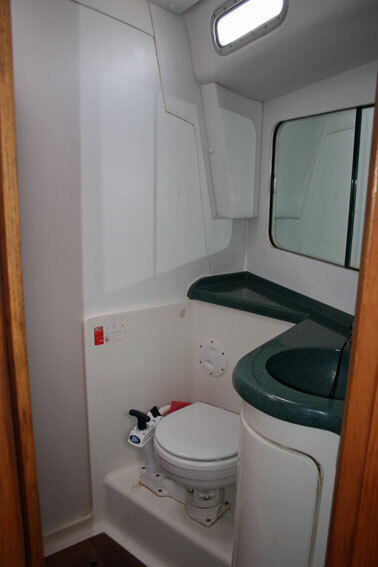 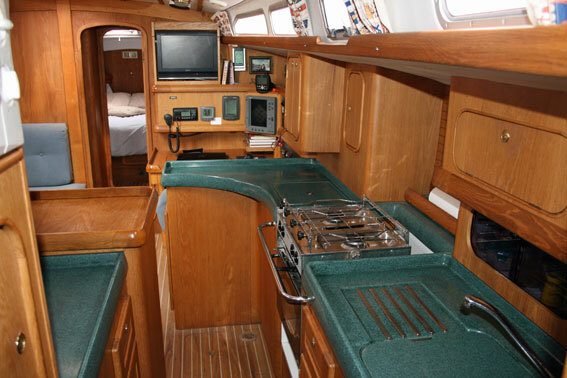 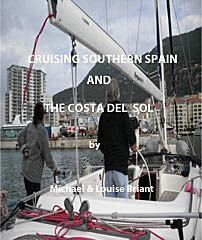 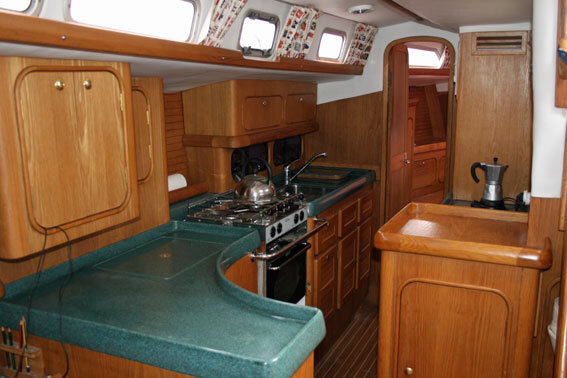 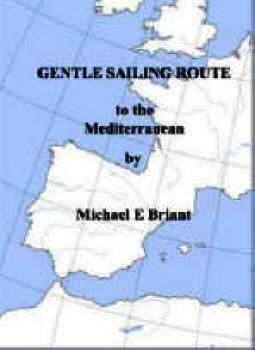 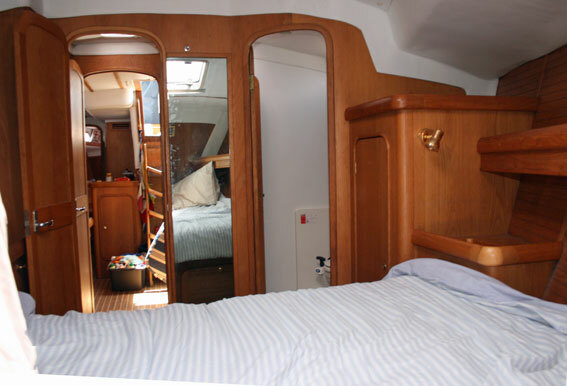 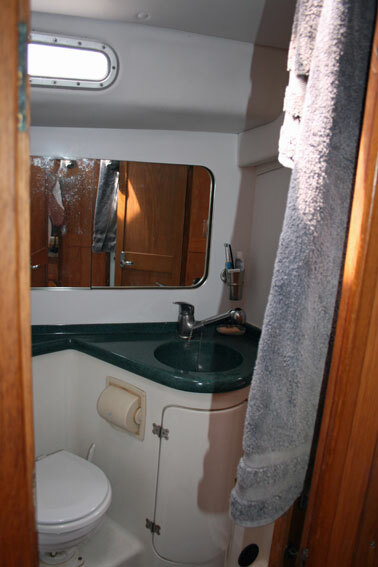 Single cabin to starboard - full length single bunk. 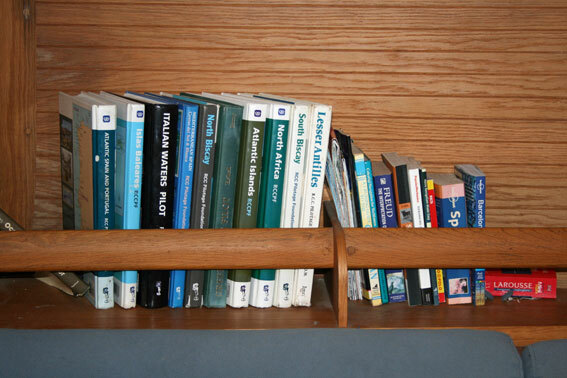 Original Westerly design book + instruction manuals for installations. 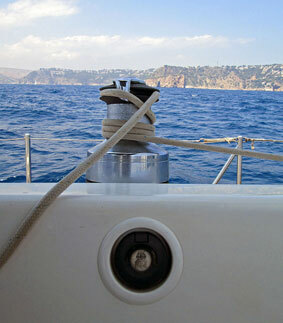 11 clam cleats for spinnaker halyard, 2nd masthead halyard, out haul, uphaul, kicker, main reefing, main halyard. 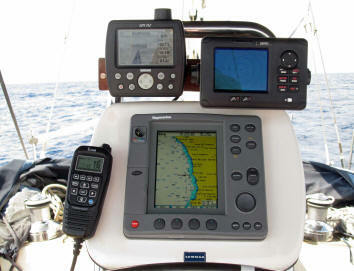 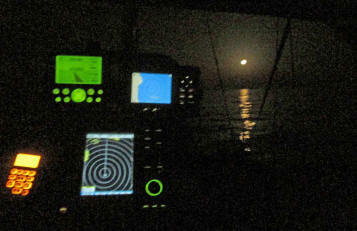 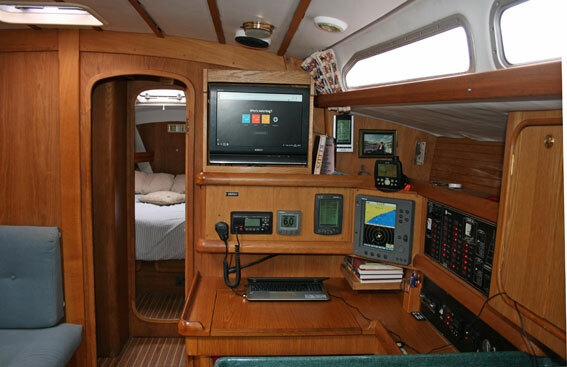 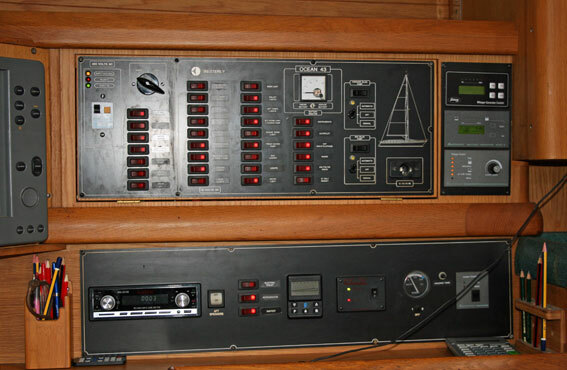 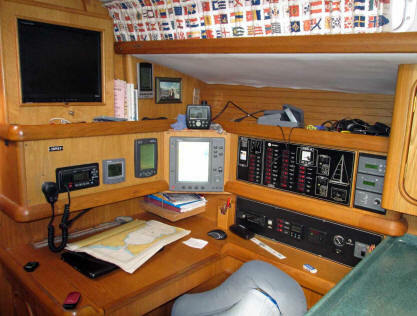 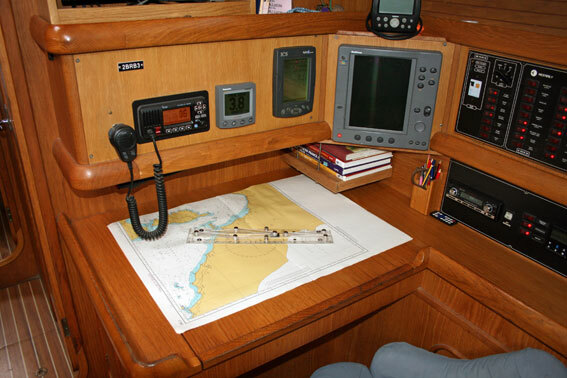 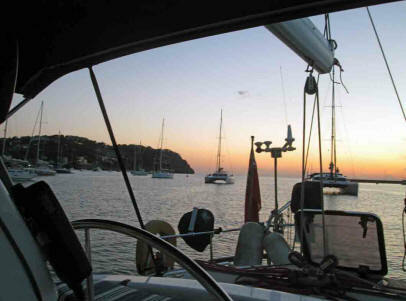 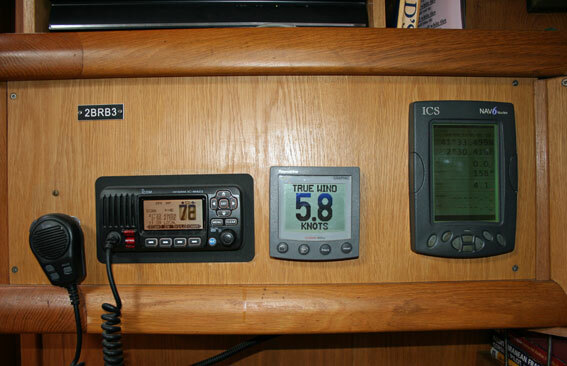 Master screen all Raymarine instruments.